According to a recent study by the Pew Research Center, there has been a 146 percent increase in non-criminal arrests of undocumented immigrants nationwide. In response to escalating fear of Immigration and Customs Enforcement arrests and mass deportations, numerous organizations are working to provide support for their local immigrant communities, including in Reno. Rapid Response Reno is based on a model from Sacramento, Calif., called Sacramento Immigration Coalition which is a network of trained community leaders who report ICE activity. Acting in Community Together In Organizing Northern Nevada, a Reno-based non-profit, is developing the rapid response network for immigrants in the area. Claudia Castaneda-Flamenco, the immigration organizer at Progressive Leadership Alliance of Nevada, said the rescinding of DACA in September 2017 has caused increased anxiety and fear among many undocumented immigrants in Reno. 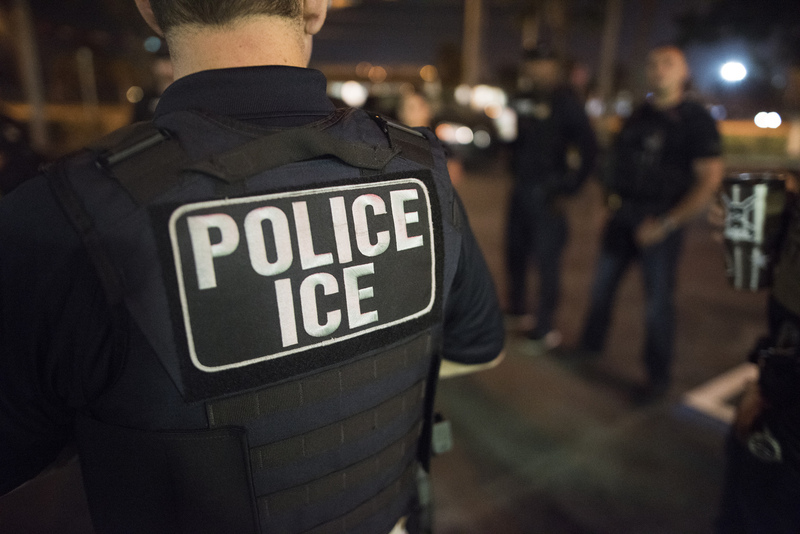 In the developing response network, volunteers would answer calls of reports of ICE arrests and send legal observers, or responders, to the location to verify that the ICE activity is occurring. The observer would take photographs and videos to gather evidence of the interaction between ICE and the detained community member/s. Alejandra Hernandez Chavez, a community organizer at ACTIONN, said the network is one way they are preparing for mass deportations. The network would also provide security and support to the immigrant community. Elizabeth Lopez, an immigration attorney with Washoe Legal Services, believes the hotline could be possible. “It doesn’t have to be a big city for it to happen, it just has to be enough interest and momentum in the community to have the volunteers who have the time and interest to show up and do this,” said Lopez. Michael Kagan, director of the Immigration Clinic at the University of Nevada, Las Vegas, is unsure of the feasibility in Reno. “Volunteer time and energy is a scarce commodity,” he said. Collecting evidence of arrests through photographs and videos might also provide legal support for those arrested. “There are programs like this around the country and they are successful and they do add another layer of protection to people whose rights may be violated,” Lopez said. Pew Research Center estimates in a 2015 report that there are 11 million undocumented immigrants in the U.S. , a majority of whom are from Mexico and Latin America. The Pew Research Center estimated in 2016 that half of all undocumented immigrants are from Mexico. “The biggest change from the Obama Administration to the Trump Administration is the increase in arrests of immigrants who have no criminal record,” said Kagan. According to Kagan, former President Barack Obama placed priority on gang members, felons and immigrants who posed security threats. These guidelines changed when the Trump administration issued an executive order in January 2017. The new directives under the order will no longer “exempt classes or categories of removable aliens from potential enforcement.” Therefore, anyone charged of any criminal offense, even minor ones, can be arrested and detained by ICE. In the graph below from the Pew Research Center, in Nevada there have been four times as many ICE arrests in the fiscal 2016 to 2017 year compared to the prior fiscal year. Image from the Pew Research Center detailing the increase of ICE arrests in the fiscal 2017 year. ICE’s Western Region Communications Director Lori K. Haley released a statement about Rapid Response Reno. “U.S. Immigration and Customs Enforcement (ICE) officers and special agents make criminal and administrative arrests every day in support of the agency’s mission to uphold public safety — which includes enforcing more than 400 federal laws and statutes. In all instances, our arrests are targeted. We do not engage in random or indiscriminate enforcement. Aliens arrested by ICE violations of law as part of a targeted enforcement actions receive all due process afforded to them under the law. In performing their sworn duties, ICE officers conduct themselves in accordance with the authorities conveyed to them under federal law and the Constitution. Individuals who intervene in or seek to impede ICE officers while they are carrying out their mission recklessly endanger not only the enforcement personnel, but also the individuals targeted for arrest and potentially innocent bystanders. Those who engage in such actions run the risk of harming the very people they purport to support. “The thing to be cognizant of is to make sure you are not interfering with [ICE] activities. You don’t want to get close enough that you are in the way or a distraction or anything like that. You want to keep your respectful distance,” Lopez said. “If you get in the way of the federal government, or state government for that matter, that could be obstruction, which is a form of civil disobedience. If you do that, you might be arrested and charged with a crime yourself,” said Kagan.